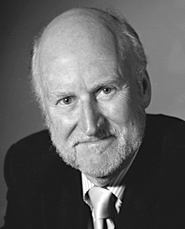 Meet Rocco Landesman, arts czar. Not many federal appointees enter their jobs the way Rocco Landesman did the other day: The just-confirmed chairman of the National Endowment for the Arts came out swinging in an interview with The New York Times. Displaying unusual combativeness this early in his term and an impolitic stance about the use of the Endowment's money, Landesman also baited the right wing, which has always had doubts about spending public money on art. Either he has taken media savvy to a new level, intending to wage his battles in public, or he has crippled his ability to get anything new done in Washington. Landesman, a Broadway theater producer (Angels in America, The Producers, Big River) and the president of Jujamcyn Theaters, with a Ph.D. in dramatic literature from the Yale School of Drama, was always viewed as an unusual choice for the job. Now we know why he got it. In the interview, which was clearly given before his confirmation and embargoed until afterwards, he said he sought the job, citing this unusual moment when the president had actually made the arts part of his campaign. His reach for power--when friends told him he was crazy to go for the job--signaled his desire to make big changes. His top priorities were dead clear in the interview. Instead of spreading federal largesse around to all congressional districts--the traditional way of gaining support on Capitol Hill--Landesman said he would direct money to the best art, no matter the location. "I don't know if there's a theater in Peoria, but I would bet that it's not as good as the Steppenwolf or the Goodman," both located in Chicago, he said. Artistic merit, not politics, would drive his choices. Landesman also said he would plump for big, not incremental, increases in the NEA's $155 million budget, which he called "pathetic." Viewing the arts as part of the creative economy, critical to reviving cities, he said they--read, he--should have a "seat at the big table with the grown-ups" designing economic recovery plans. The NEA's slogan--currently "A Great Nation Deserves Great Art," which Landesman said suggested that the art world should just apologize "right off the bat"--will henceforth be "Art Works." That's a way to convey that artists need to eat and are just as much a part of the economy as autoworkers and steelworkers, a point he said he'd drive home "till people are tired of hearing it." Landesman also said the arts were a target in politics because they are seen as "elitist, left wing, maybe even a little gay." And he said he would, if he could, restore grants to individual artists, which were stopped in the mid-1990s after furious objections to the use of government money to pay for art that offended large parts of the population (Karen Finley's performance art, her naked self smeared in chocolate, to name one). But only Congress can do that. Some of this is refreshing. It's meant to alter the terms of the debate, to give the arts their due--which does include consideration of their role in the economy. The arts should not be an afterthought, or no thought at all. In some ways, Landesman is living up to a standard for appointees that many Obama voters expected when they pulled the Democratic lever last fall--only to be disappointed by the president's mostly conventional picks (some of which encouraged those who didn't vote for him, but that's another story). Landesman wants to dispense with business-as-usual at the NEA, and that's a good thing. But plenty of other people have gone to Washington with similar forthrightness only to be felled by their hard-charging methods. It would be a shame if Landesman unnecessarily reignited the vicious culture wars of the 1990s. He is taking a big risk, in a town that all but requires compromise and coalition-building, even when the majority is as large as it is today. Let's hope he doesn't make matters worse for the arts.